Description GravityPop is a physics engine space puzzle game. Try to cool down your space freighter after a big asteroid crash by clustering the water boxes. 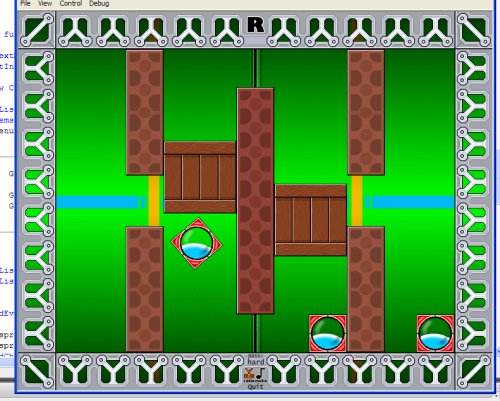 You can't move the elements directly, the only way to get them together is manipulating the gravity in each room using your arrow keys. Every level has its own password (which you also can copy and paste), so you can easily jump to your last played level from the title screen! Use arrows to control the gravity!